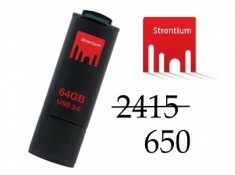 Amazon is Selling Strontium Jet 64GB USB 3.0 Pen Drive at just Rs.560 + Bank offer.Hurry !! Grab now ! !